The eCALL initiative aims to save lives using Internet of Things technology. By March 2018 the UK will almost certainly be on its way out of the EU. But there will be many regulations, laws and policies that originated in Brussels to which the UK will still be bound. In fact, some of these just make sense to continue to comply with, irrespective of the future direction of the UK or the EU. The ‘eCall’ initiative is one such example – and one that will save lives on the UK’s roads. What is eCALL? The European Union has mandated that by March 2018 – just 12 months from now, all new cars approved to be sold in the EU must have the capability to make an automated call to the emergency services in the case of an accident. They must also have an ‘Emergency 112’ call button that can be pressed manually. Members States (including the UK) must also ensure that their emergency service call handlers are able to receive and react to these calls. The advantages of the eCALL system are clear. When triggered, either automatically by a sensor such as the airbag deployment system, or manually, the vehicle will not only contact the emergency services, but send critical data to the emergency services. The agreed minimum data to be sent includes the GPS location of the car, its VIN (unique vehicle identification number) and the type of engine (petrol, diesel, electric etc). All of this data is sent in the first 6-10 seconds of the call, before the voice call commences. This means that the operator should already have critical information about the accident in front of them when they speak to the driver. What this means in real-world situations is that an emergency call handler can be speaking to the driver of a crashed vehicle only 20 seconds or so after the crash has taken place and already know exactly where the accident has taken place and the vehicle involved. That’s a lot faster than if the driver has to make the emergency call themselves and then give basic information on where they are and type of incident. The correct emergency response can therefore be dispatched to the exact spot far faster reducing disruption. Ultimately, the change is expected to reduce response times by up to 60% and save hundreds of lives a year. eCALL is a great example of a real-world IoT (Internet of Things) application that combines sensors, communications and data with human interaction to provide a better service. But, in order for this to work as intended changes must be made to the call centres handling the UK’s emergency service communications. At the simplest level these systems are today capable of handling voice calls only. To be ready for eCALL they must add the ability to receive and process data sent directly from the vehicle. The risk is that individual services make decisions on how to do this in ways which may reduce their scope for further development in the future. However, decisions must be made quickly if new systems are to be integrated, tested and deployed in time for next year’s deadline. All 112, or 999, systems must be capable of handling this basic level of functionality by March 2018, but within a few years enhanced applications are envisaged. 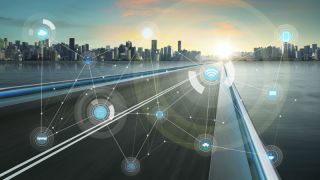 The integration of video communications as well as other non-voice communications technologies potentially including text and social media messaging functions, as well as more in-depth data from a greater number of sensors in vehicles, are already planned. For example, sensors in seatbelts could let emergency operators know how many passengers are in the car, accelerometers could provide data on the force of any impact, video cameras could provide a real-time view both inside and around the vehicle. Emergency service call handlers should consider these future potentials whilst still moving quickly to comply with the immediate mandated needs. But there are challenges ahead. The UK, for example, is already falling behind on preparation. While many EU countries, such as France, Portugal and the Netherlands, have taken steps to implement such systems. However, due to the nature of the UK’s public safety answering point (PSAP) approach, there has been significant confusion as to how eCall will be deployed and handled. The new law will mean that every ‘command and control’ centre across the UK needs to make changes at both the technical and procedural level, to handle potentially thousands of new voice and data calls. And while Britain has one of the oldest and most reliable voice-based emergency services in the world, there could be serious implications if the UK – or other countries – fails to meet the deadline. As automotive technology and eCALL itself evolves, it makes sense for the UK to ensure that its citizens continue to benefit from it. Not only will the UK and its emergency services have at least one year during which they must comply with the eCALL system, but it would seem to be a retrograde step to deny UK citizens the additional safety offered by the service once we formally leave. In addition, most – if not all – car manufacturers will continue to integrate eCALL capability in their vehicles, not only to comply with EU regulation for sales there but also to offer enhanced customer service and support to its customers wherever they are. It would be a backward step for these options to be ‘turned-off’ for UK drivers. eCALL is an important innovation which, although born in Europe, has been supported by UK authorities and institutions. In or out of the EU it remains a significant step forward for road safety, and a great example of how automation and connected technologies can make a real, positive difference to public services.